This weekend you can attend grown-up prom, an Indian stomp dance, an art show, a lunch for Vietnam vets, and a session at the community garden! Ask an Expert: Gardening Session at 5 p.m. at the Caring Community Friends Garden, 14 West Burnham Avenue in Sapulpa. Got a gardening question? Come ask the experts! Or just come hang out with fellow Sapulpa neighbors in the garden. Let’s make this the best gardening season ever! For more information, visit the Facebook page here. Sapulpa Artists’ Guild 2nd Annual Art Exhibit & Show from 10 a.m. to 7 p.m. at the Sapulpa Senior Citizen Center, 515 East Dewey Avenue. This event is free and open to the public! Come see local artists in action and have the opportunity to visit with them about their work. There will be great door prizes and painting and crafts for sale. 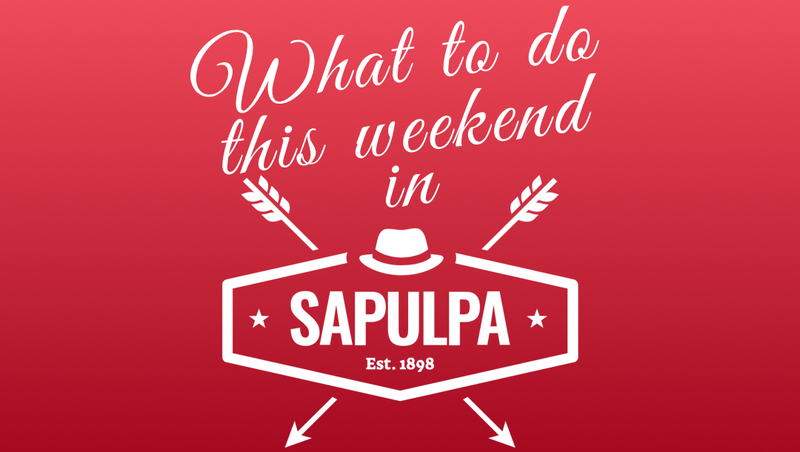 For more information, please call Sam Houghton or Sherman Baker at 918-224-8106 or email sapulpaartistsguild@gmail.com. Drybrush Class from 6:30 to 8:30 p.m. at The Painting Gypsy Studio, 619 North Mission in Sapulpa. Learn to paint a wolf for $25 per person. They will revisit the basics and introduce some shadowing and highlights, and will also spend time on small details for the eyes. Seats are limited, due to one-on-one guidance. For more information, please visit the Facebook event page here. Wish CTX Coffee a Happy Birthday from 9 a.m. to 5 p.m., 11 North Water Street in Sapulpa. Start your morning with a FREE breakfast, a new waffle menu, a new drink, $1 off drinks, special treats, and giveaways to celebrate CTX’s birthday! For more information, please visit the Facebook page here. Sapulpa Artists’ Guild 2nd Annual Art Exhibit & Show from 10 a.m. to 3 p.m. at the Sapulpa Senior Citizen Center, 515 East Dewey Avenue. This event is free and open to the public! Come see local artists in action and have the opportunity to visit with them about their work. There will be great door prizes and painting and crafts for sale. For more information, please call Sam Houghton or Sherman Baker at 918-224-8106 or email sapulpaartistsguild@gmail.com. Tai Chi: Moving for Better Balance at 10:30 a.m. at Good Shepherd Episcopal Church, 1420 East Dewey Avenue in Sapulpa. This is a FREE 12-week program conducted by Gina Wozencraft and put on by the Creek County Health Department. Through simple, graceful movements that are easy to learn, Tai Chi builds physical stamina, improves one’s balance, muscular strength, postural control, self-confidence, memory, and reduces the likelihood of falling. Join them for this great program! Vietnam Vets Luncheon at 11 a.m. at the Elks Lodge, 24 South Poplar in Sapulpa. ALL are invited to a FREE spaghetti meal to honor the 14 Sapulpa-area casualties killed in uniform fighting for Americans overseas. The meal includes spaghetti and meatballs, toast, salad, and tea. It is sponsored by local veterans groups. Sapulpa Indian Education and NASA Stomp Dance from 5:30 to 11 p.m. at the Sapulpa High School, 3 South Mission. Dinner will be from 5:30 to 6:30 p.m. in the High School Commons. It’s first come, first serve. The dance will be from 7:00 to 11:00 p.m. in the High School Gym. Concessions will be offered during dance. There will be raffles, a cake walk, vendor donations, and more! All proceeds benefit Native American Student Association (NASA). Vendor tables are welcome with a donation to NASA. To book a table or for questions, please call 918-224-9322. You can also visit the Facebook page here. Princess Edition Paint & Pizza Party from 6 to 8 p.m. at The Painting Gypsy Studio, 619 North Mission in Sapulpa. During this class, the Snow Sisters will be dropping by the studio to visit with all the kids. The kids will get to show off their ceramic pieces and take pictures with the princesses. Painting, pizza and princesses! What more could you ask for? The cost is $15 per person. Tickets are now on sale. Every person attending must purchase a ticket. For more information, please visit the Facebook event page here. Prom: The Do-Over Edition from 8 to 11 p.m. at Signs of the Times, 18 East Hobson Avenue, in Sapulpa. Grab your significant other or best friend or come solo for a night filled with fun and making new memories. This is your do-over prom! Sponsored by the Mounds PTO. It’s open to anyone 18 and over, but you must be 21 to drink. Tickets are limited and available now. There will be an open bar option and a live DJ. You don’t want to miss this! For more information, please visit the Facebook page here.